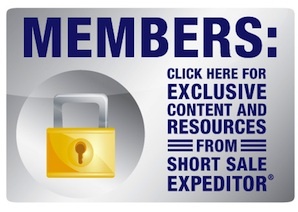 Are you having trouble getting your short sales closed? Do you think that they take forever to process? Do your buyers walk when you have finally obtained your approval letter? 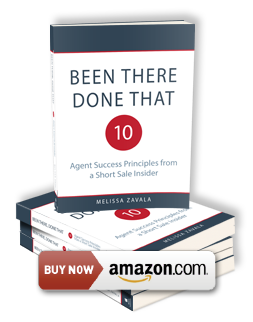 This is article number nine in a series of 10 articles about the Top Ten Tips for Getting Your Short Sales Closed. Tip 4: Get Non-Institutional Liens Released Early. 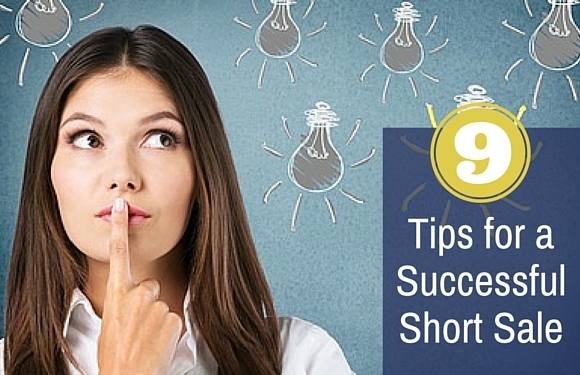 Tip 5: Follow Up Quickly to Avoid Delays. Tip 6: Sell the Property at Fair Market Value. Tip 7: Only Submit Fully Executed Contracts. Tip 8: Agree on Counter Offer Terms Before Accepting Them. It’s almost like learning the ABCs. In this case, B if for Backup. 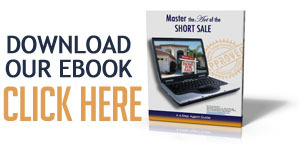 When working on a short sale, it is always important to have a backup plan. There are certain unexpected situations that may occur during the short sale process, and it is important to have strategies in place in order to address these situations. After all, you do want to see a successful closing, don’t you? Here are a few unexpected situations that may arise and a few tips for addressing them. Buyer walks. Regular weekly communication with the buyer’s agent will go a long way towards assuring that the buyer will still be around when the short sale is approved. Also, carefully review offers and seek a buyer that you believe is willing to wait. A first-time homebuyer in love with the property may wait a lot longer then an investor with two million dollars cash. Tenant refuses to permit access. They invented Cash for Keys for a reason. Given the options, would you rather be evicted and receive nothing or get a couple of grand for leaving the property? I know what I would choose. Bank will not pay buyer’s closing costs and other buyer fees. It’s a good idea to write a short sale counter offer that addresses what will happen if the bank does not approve these fees. Who wants to wait 3 months to learn that the buyer is only going to stick around if the bank pays for termite repairs? Seller decides to do a loan modification. It’s best to try and rule this out at the listing appointment. Learn about whether the seller will qualify for a modification and also seek information as to whether the seller is still interested in staying in the home. Suggest that the seller rule out loan modification before entertaining a short sale. Non-institutional liens on the title report. You have got to get rid of these early in the process. Ask your local title representative to help you discover whether there are non-institutional liens on the property. If there is an IRS lien or a child support lien, ask the short sale seller if she (or he) is going to be taking care of these prior to closing. If the answer is ‘no’, run like the wind. While you may not need to address any of these issues in your short sale transaction, remember that B if for Backup and that it is always important to be ready to address any unexpected situation that comes your way. If you or anyone you know needs help with a short sale, please do not hesitate to contact our office.